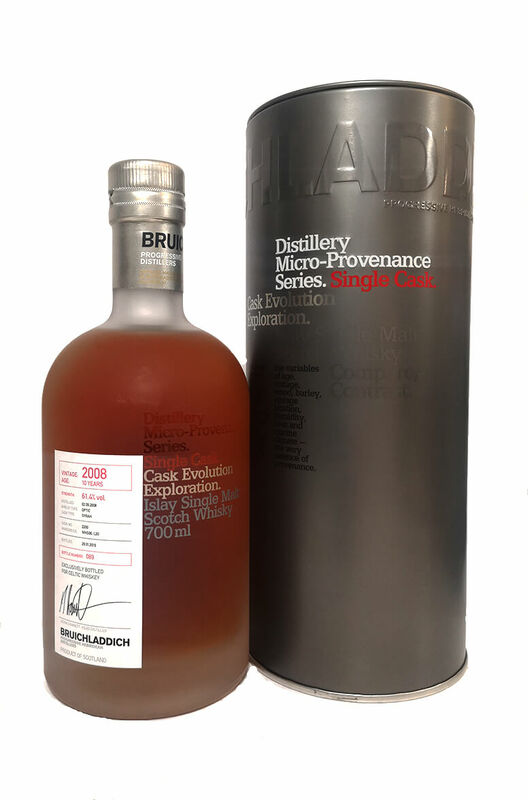 We are delighted to announce the arrival of our first Single Cask exclusive from the Bruichladdich Distillery, Islay, Scotland. Bottled just for the Celtic Whiskey Shop, this is a 10 year old single malt aged exclusivley in ex- Syrah wine casks and bottled at cask strength of 61.4% Limited to just 288 bottles. Taste Powerful, juicy and complex. Malted grains, sultanas, peat smoke, hazelnut spread, roasted nuts and linseed oil. Nose Complex and warming. Heady aromas of fruit 'n' nut chocolate, peat smoke, wood smoke, marzipan, fruit bread, linseed oil, stewed fruit and preserved plums. Finish Long, smoky and warming. Far more complex than most 10 year old single malts.